1. To begin the grant application process, thoroughly review the Foundation’s Grant Guidelines and Policies. In addition to providing an overview of our grant-making, it is the most current guide to the type of work and organizations we fund. 2. Our grant review process is thorough and comprehensive, and the information on the General Information & Tips page will help you better understand our approach to grant making. You may be asked to upload documents. The Foundation supports equal opportunity in its grant making and in its internal policies. When evaluating grant proposals, we consider the opportunities that prospective grantee organizations provide for our service areas. Grant applications are to be completed thoroughly and submitted online. Applications that do not contain all of the required information will not be considered. Contact Crystal Gunther, Director of Community Philanthropy, at (812) 948-4662 or by email if you have questions. Once the application has been submitted for review, no additions or corrections to the application will be allowed. The organization must submit this form in order to be considered for the next funding review period Please refer to the Grant Guidelines & Policies for more information. For the he Community Grant Program, the Foundation accepts Community Assist Grants and the application process is open all year. Community Assist Grants will have a maximum grant of $5,000. Applications for the Spring Youth Philanthropy Council Grant Cycle are typically accepted January 1st and must be submitted by January 31st, however these dates may change at the sole discretion of the Foundation. The maximum allowable grant request for the YPC Spring Cycle is $500. Please go to our Youth Philanthropy Council Grants page for more detailed information. All not for profit agencies providing services to residents of Clark and Floyd Counties in Indiana are eligible to apply. Applicants must be listed in good standing on the IRS Publication 78 Business Master File and must have completed the annual filing with the Secretary of State. Schools, religious organizations, some civic organizations and local governmental units may be exempt from this requirement. Applicants should be able to present their IRS Letter of Determination (LOD) indicating their status as a 501(c)(3) not-for-profit. Community Foundation of Southern Indiana’s Grant Guidelines and Policy. Uncertain what the maximum request allowable is? What will the Foundation not typically fund? You can find many answers to your questions in our Grant Guidelines and Policies link above.  To submit a grant application to the Community Foundation of Southern Indiana you must be a nonprofit organization and you will need to complete the application online on our website here. Paper copies will NOT be accepted. If you have any questions about completing the application or the supporting documentation required, contact the staff at 812-948-4662 or send an email to cgunther@cfsouthernindiana.com. Community Grant Program opportunities are available all year and Youth Philanthropy Council grant opportunities are typically available in January. The online application system does not allow you to submit your proposal until all questions are answered in each section and all documentation is submitted. If you have questions about the online grant application you can contact the Foundation at (812) 948-4662 or email cgunther@cfsouthernindiana.com. Applications that do not contain all of the required information may not be considered. Once an application is submitted, no additions or corrections to the application will be allowed. 1. Write your proposal in easy to understand terms. Avoid jargon, abbreviations, and acronyms. Ask someone who is not familiar with the project to read and critique your application. Are they able to understand and clearly explain what your project is, the cost, and the results you hope to achieve? 2. Is your proposal neat, clean, and easy to read? Make sure there are no typographical errors and the grammar is well written and easy to understand. Most importantly, directly answer the question being asked. The online system will not allow you to submit your proposal unless all questions have been answered. 3. Make it brief! The proper length of a proposal is just long enough to clearly communicate your message and request but not so long that the grant reader gets lost in the verbiage. You will be limited on our response online so be sure you directly answer the questions being asked. 4. Avoid Unsupported Assumptions. Statistics are helpful to justify your proposal, but statistics specific to Clark and/or Floyd County residents will provide a better argument for funding. How many Clark and/or Floyd County residents have been served in the past or are projected to be served by your proposal if funded? Impact is VERY important in our grantmaking strategy. What is the source and relevance of the statistics you provide? 5. Do your homework on costs. Provide price lists or written estimates as attachments. Including competing estimates or bids is helpful (no more than three) if the work/project will be contracted. Give a detailed explanation on all equipment to be purchased. Again, make sure the project budget is clear and adds up. 6. Make sure the project budget adds up! Provide reasonable, detailed budget of the project. Reviewers will recognize deliberately under-budgeted or padded requests. The Foundation encourages applicants to seek additional sources of funding as well. Many of our applicants struggle with providing the “detailed budget for the project” on their application. Reviewers must be able to see the total cost of your project, the various costs in detail, and what sources of funding (including the CFSI request) will be paying for these items. You can either upload your own budget or use the template provided. 7. Include ALL documentation. Any supporting documentation requested must be submitted or the online system WILL NOT allow you to submit your application. The CFSI Grants Committee is comprised of members of the Board of Directors and Community Volunteers while the Youth Philanthropy Council Grants Committee is comprised of youth council members and volunteer adult mentors. The Grants Committees evaluate the grant applications through a process that may involve site visits and phone interviews with the applicants. They then convene and use a scoring rubric to score applications. Based on the resulting scores, funds are allocated among selected applicants and recommendations are then presented to the CFSI Board of Directors for approval. The request is time-sensitive in nature and could not have been predicted or reasonably planned for and a response for the emergency is needed in 45 days or less. The request is to support a true community emergency need or an emergency need of an agency, such as essential equipment repairs, that would prevent it from carrying out its primary mission. The Board authorizes staff to make initial determination of eligibility for an Emergency Grant. If staff determines the request is qualified, they may recommend awarding the grant to the Board or Executive Committee, whichever is scheduled to meet closest to the request date. To be considered for an Emergency Grant, organizations must submit an Emergency Grant Request Form located on the Foundation’s website here. *All determinations regarding the eligibility of a grant application for an emergency grant are in the sole discretion of the Foundation.